Appalachian Coal Mines and Railroads in Color, Volume 2: Virginia - ﻿Noted Appalachian-area photographer Everett Young provides coverage of coal mining in the Old Dominion State�officially known as the Commonwealth of Virginia. 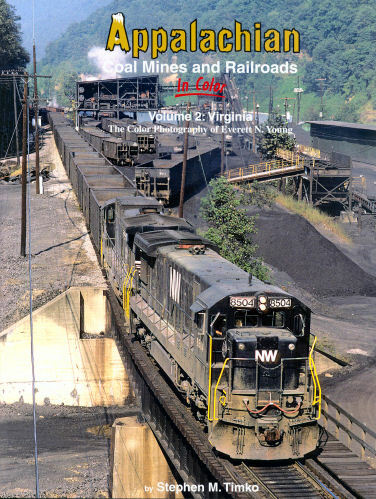 Featured are the western Virginia coal mines and railroad operations of CSX and Norfolk Southern and their predecessor roads�the Louisville & Nashville, Clinchfield, C&O, N&W, Southern, Interstate and the Haysi Railroad. Over 270 never published photos are included. Hard cover.